Over the past few years, the customer demands have changed remarkably. This change has forced retailers to mend their methods of selling – which in turn has led to a rise in e-commerce stores. Although there is a notion that there has been a decline in sales for companies which only has physical retail stores, the overall sales of brick-and-mortar stores have actually increased. Retail experience consultants believe that these stores are here to stay provided they re-invent themselves to be at par with e -commerce stores – After all, going shopping used to mean – getting in your car, driving down to your favourite store, browsing through your favourite goods, bargaining and then making a purchase! Isn’t it? For brick-and –mortar stores to survive, it’s important for them to offer something that the online shopping stores don’t – such as in-store exclusives, goodies, invites to gigs or events etc. A well planned loyalty program with good rewards can be a great idea to attract customers to the store. Retail stores can invest in a good loyalty engine which can track and hence reward customers based on their visits, purchases made and also friends referred. This will not only enable repeat visits but will also help in increasing the footfalls to the store. Bricks and Clicks seem to be the new mantra that is working for most brands. Shoppers Stop, Lifestyle, Decathlon, Barnes and Noble are some of the popular names that seem to believe in this mantra. A store with a traditional retail outlet also having an online presence will enjoy a win-win. It’s when retailers supplement their brick and mortar stores with an online store, the limitations due to a physical location starts to melt away. Though online shopping is a convenient option, a majority of Indians still prefer buying products from a physical store. 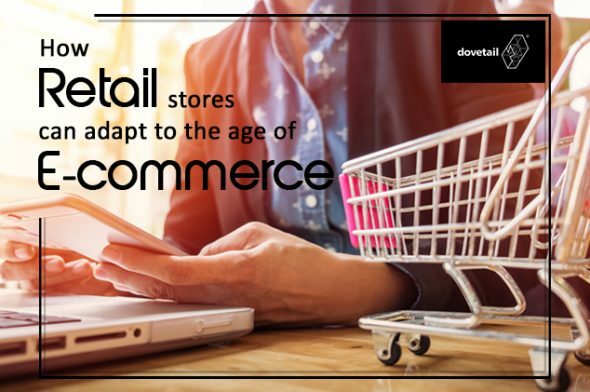 But being present in the ecommerce world will help the retailers get insights about what sells where and this can in turn be implemented in the physical store. At the end of the day, syncing all the efforts online and in-store is what works. Customer experience is another important aspect all brick-and-mortar stores should be working on. Making the shopping experience easier and faster will definitely have a positive impact on the buyer- and being faster isn’t just about speeding up the entire process of billing and order fulfilment, it’s also about how quickly customers can find the products they are looking for and how well the store associates can assist them in case they don’t find what they are looking for. So having a well organised store and ramping up the customer service efforts is the key! In today’s competitive world, customers are almost sure to go to a place where they can find the products they are looking for easily and at a better value in terms of price and quality. It’s important to attract customers with offers that can only be redeemed when they make a purchase instore. This could include cash back, discounts on next purchase and also attractive offers which can be used elsewhere. A classic example is to have your store partner with another brand and give complementary offers. For e.g. customers who make purchases worth 5000 can enjoy a couple buffet at a select restaurant. This can help you market your brand and store better. Creating an environment that is pleasing, consistent and easy for the customer is the key to succeed and survive in the age of online shopping! It only takes one bad experience at the store to make a bad impression that a client will probably always remember. Dovetail Furniture– Is a 33 year old company that specialises in retail fixture and shop fit manufacturing. Considered to be an industry leader, Dovetail offers its vast experience and expertise with design engineering, value engineering, material optimisation alongside its manufacturing, logistical and installation capabilities to clients- be it high end brands to mass market brands.